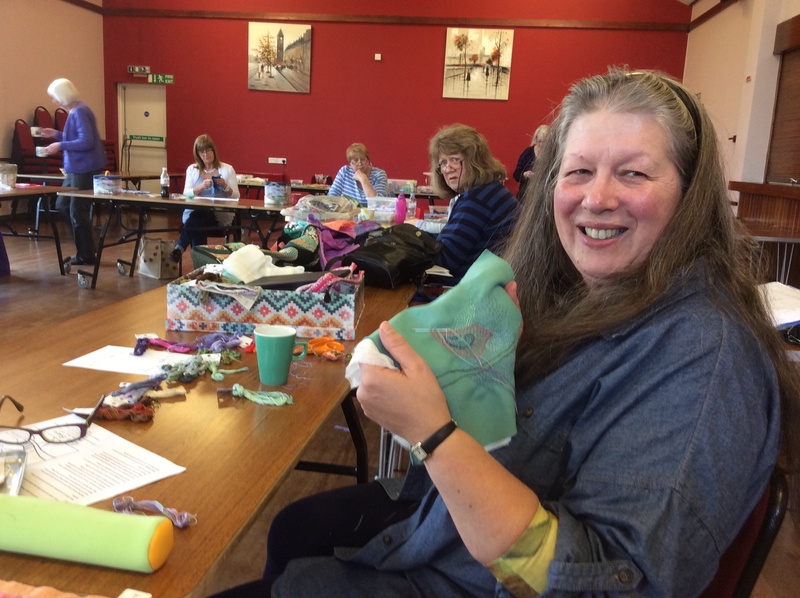 Today I joined a lovely group of ladies in Cranwell Village Hall to learn the basics of Kantha stitching. 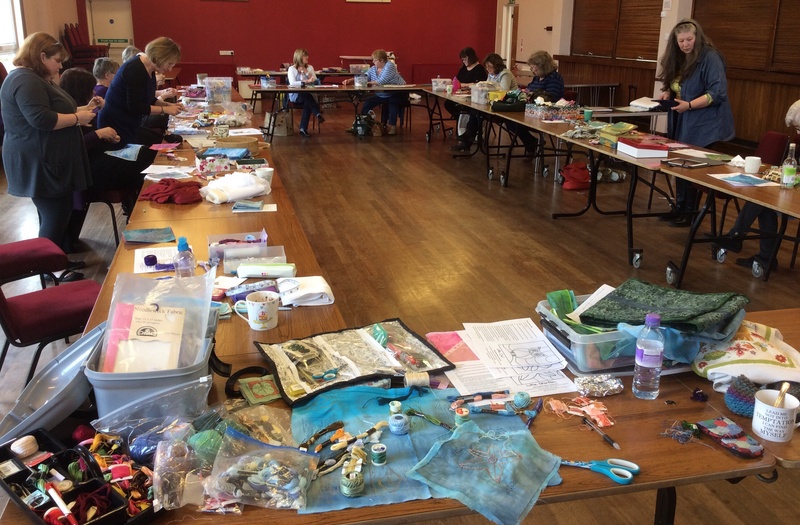 Our tutor, Gilli Theokritoff, is an active member of Region 10 of the Quilters Guild, running workshops both locally and around the country. 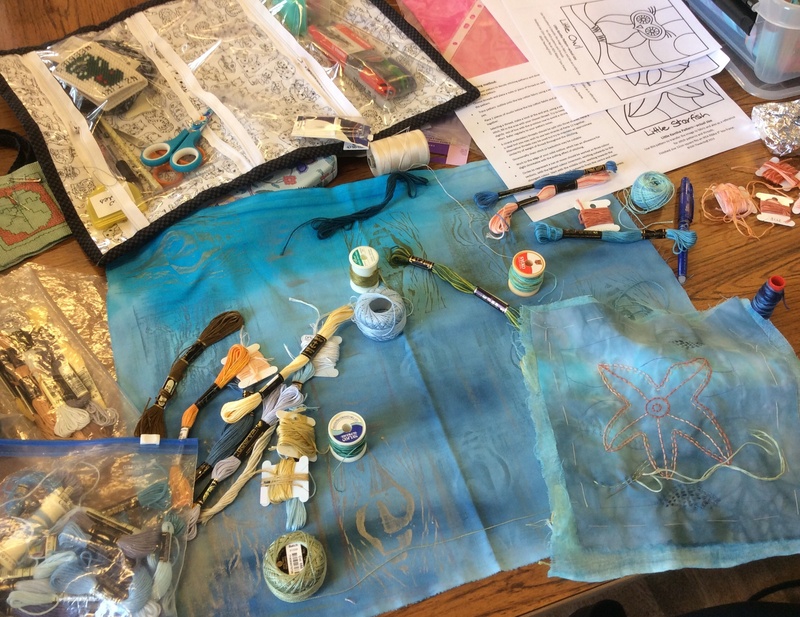 Gilli brought along several beautiful examples of her Kantha work and provided the group with a choice of designs and threads to work with during the day. Kantha is a simple embroidery technique consisting of running stitch often worked in parallel lines and in various directions. 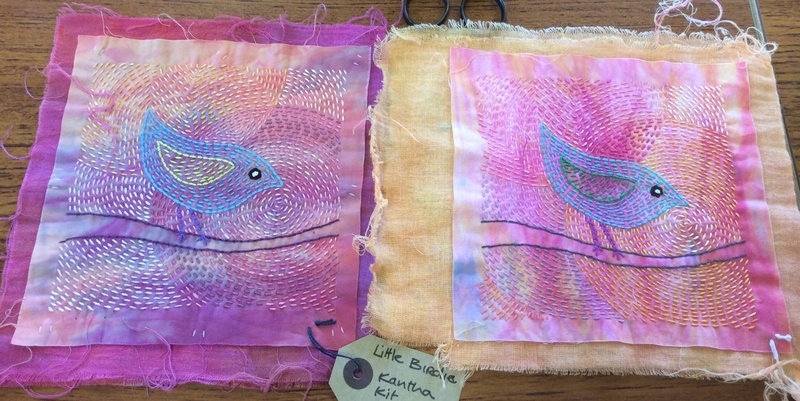 The photo below shows two beautiful examples of Gilli’s Kantha work using her “Little Bird” design. 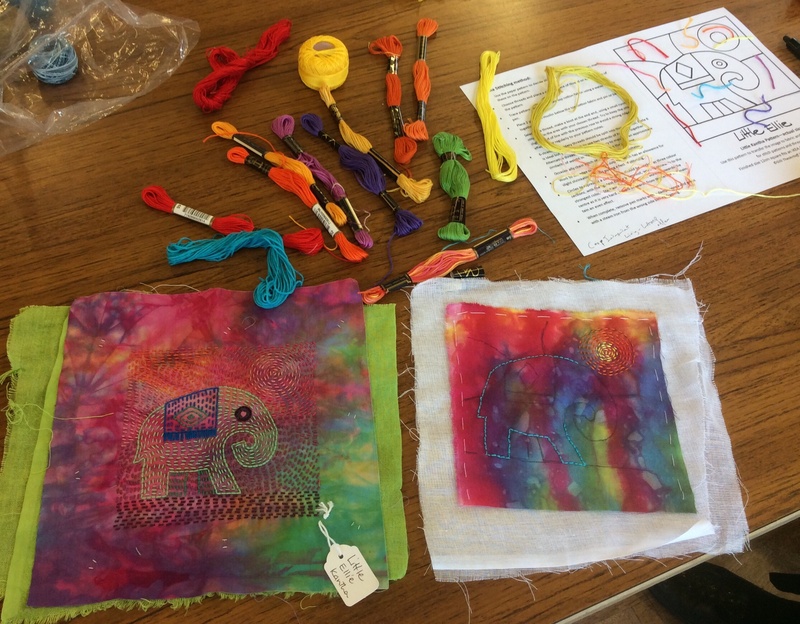 I am sure I speak for everyone when I say what a great day we had and you can see from the following images the variety of designs and colours that were worked on during the day. ← Artvango & The Finished Vessel….. So, no batting? 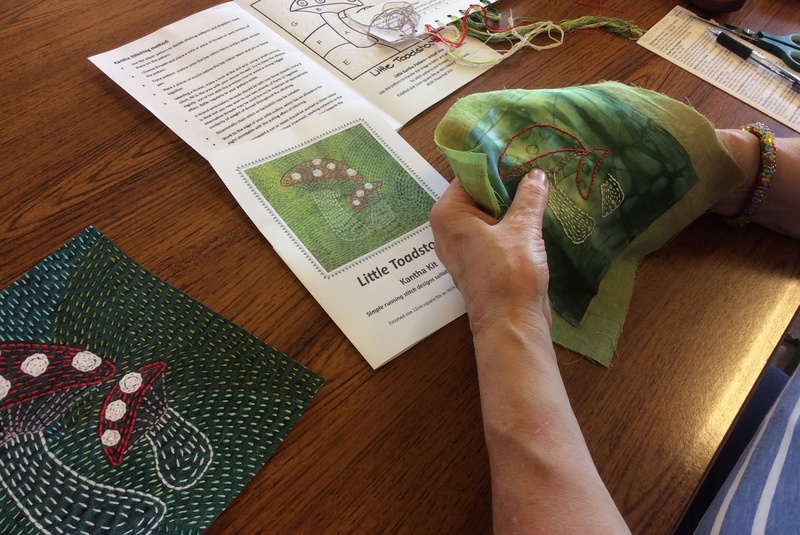 Kantha is worked on 3 fabric layers? 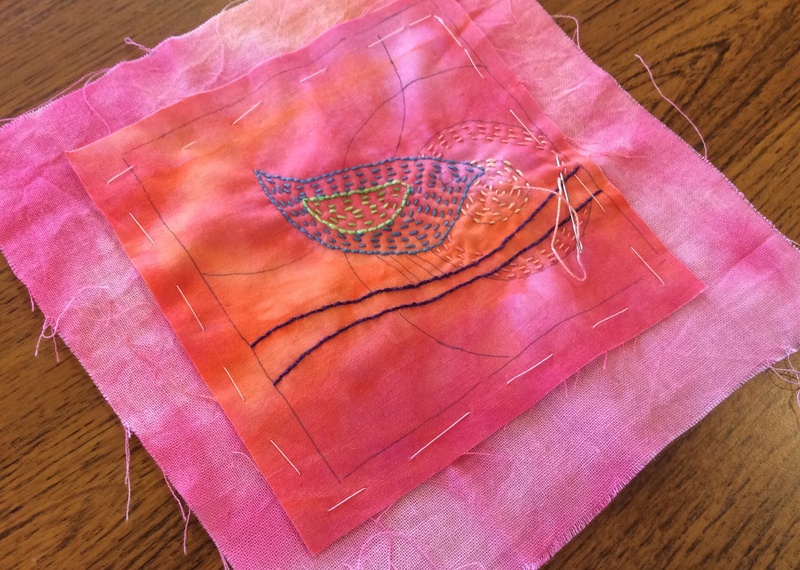 Is it quilting or embroidery? Aren’t they just! 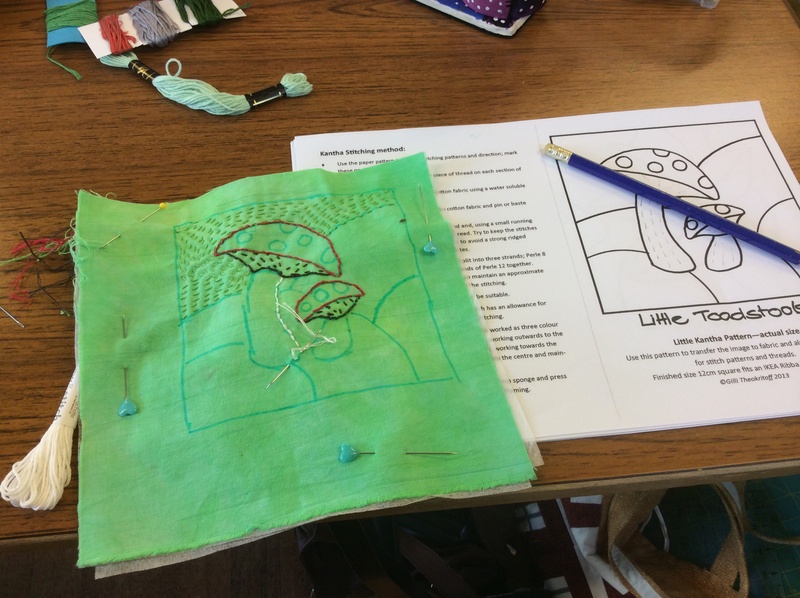 It’s such a simple thing to do but the results are all so different depending on the colour of thread and the direction you chose for each area of your stitching. Thanks for both of your comments. 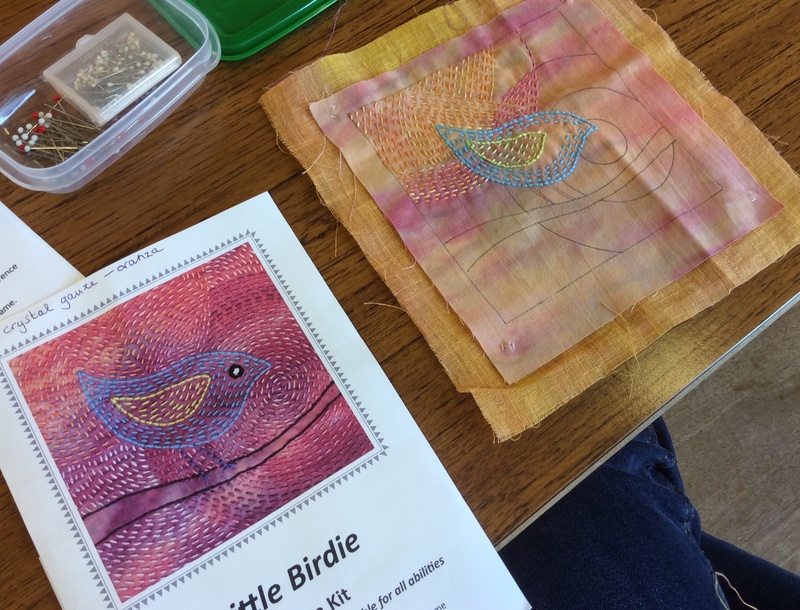 My Kantha is very much work in progress as I spent so much time chatting to Gilli and the other ladies yesterday but I will post an image once it’s done. Lovely work!! Thanks for sharing this. I can second that. 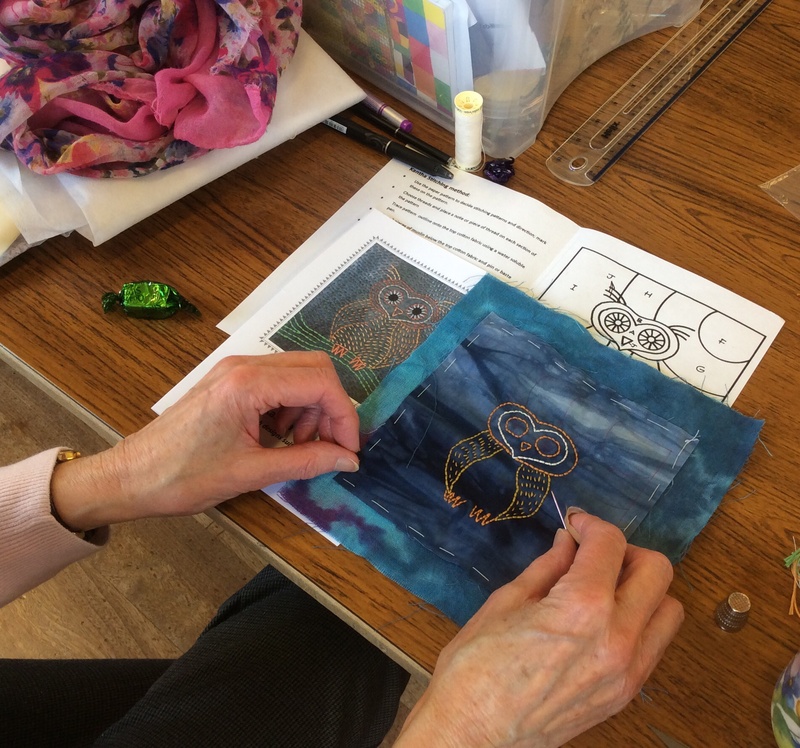 It is a great workshop and fun to,do.